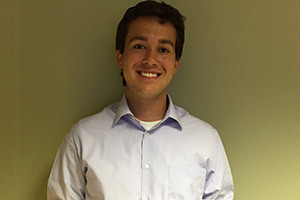 Join us in welcoming our newest GIS team member, Lucas Roy! With continued support for and commitment to the growth of the community, CEM awards 5 percent of its annual profits to organizations with philanthropic objectives and initiatives. 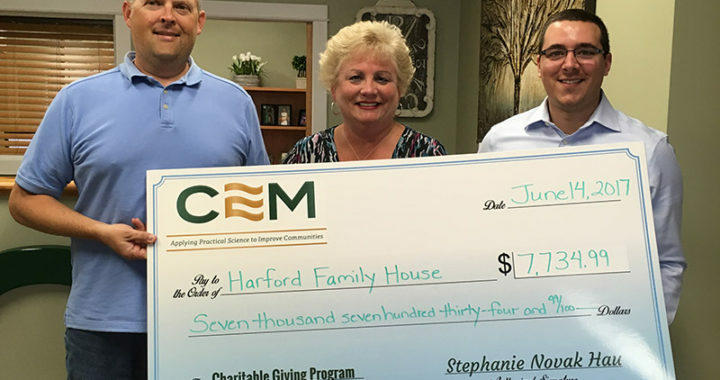 Harford Family House, Chesapeake Therapeutic Riding and Eden Mill Nature Center received grants from CEM this month. Helping fulfill a mission to provide healing and learning to individuals and groups whose minds, bodies and spirits will benefit from the transformative connection between people, CEM awarded a grant to Chesapeake Therapeutic Riding (CTR) for their unique approach to delivering customized and innovative therapy for a range of clientele. “When corporations like CEM create a ‘generosity stream’ for small, nonprofit organizations, it can truly transform a community,” said Founder of CTR, Cathy Schmidt. Schmidt initially founded the organization under the basic principle of connecting individuals with horses who may not otherwise have the opportunity to interact. The program expanded significantly beyond therapeutic riding. Programs include corporate teambuilding, leadership workshops and bereavement. Inspired to provide local communities with educational programs centered on caring for the environment, CEM awarded a grant to Eden Mill Nature Center, a non-profit, volunteer-run organization located in Pylesville. The organization, founded in 1991, dedicates its programs to developing a greater awareness and appreciation of natural and historical resources in the area. Through this Charitable Giving Program, CEM fulfills its commitment annually to giving back to the community, including non-profit groups striving to improve the human condition. For more information on each of the 2017 CEM grant recipients, visit them on the web at www.HarfordFamilyHouse.org (Harford Family House); www.CTRChangingLives.org (Chesapeake Therapeutic Riding); www.EdenMill.org (Eden Mill Nature Center).